Peep our BuzzFeed video and a feature that VegNews did about us! A clip about Portland's vegan mecca—comprised of a clothing store, bakery, tattoo shop, and grocery store—has gained three million views in 24 hours. A one-minute video highlighting Portland’s vegan mini-mall—a partnership between clothing store The Herbivore Clothing Company, bakery Sweet Pea Baking Co., grocery store Food Fight!, and tattoo shop Scapegoat Tattoos—has received three million views in the 24 hours after it went live last Thursday. The video was created as part of the BuzzFeed Bring Me series where the popular media brand highlights innovative businesses, people, and food sensations. The clip opens with title text that states, “This is what vegan heaven looks like,” before focusing on the side-by-side vegan businesses that comprise Portland’s vegan mini-mall. The clip kicks off with footage of Sweet Pea Baking Co.’s croissants, bars, and cookies, then heads to grocery store Food Fight! to showcase its array of offerings including vegan cheese, a selection of meat alternatives, and soft serve ice cream. Scapegoat Tattoo—which uses all vegan ink and aftercare products—makes an appearance with its colorful art. Finally, the video pops into retail shop The Herbivore Clothing Company to document its selection of cruelty-free beauty products, animal-free leather wallets, and vegan-themed clothing. 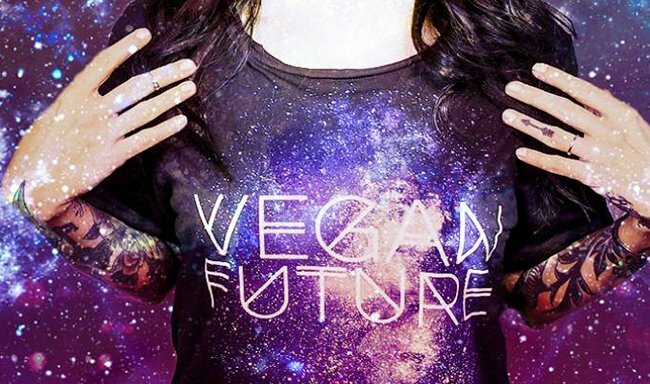 “Fun, delicious, cool, and compassionate living has wide and growing appeal,” Herbivore Clothing Company’s founder Michelle Schwegmann tells VegNews. “Our goal has always been to make being vegan an attractive choice. The video shows that the negative stereotypes of veganism have fallen away.” During the economic downturn in 2008, the four vegan businesses combined forces and moved into the mini-mall to become a one-stop shop for everything vegan. Get A Lil' Extra With Herbivore! Extra Love, Extra Honesty, Extra Style. Ready For Your Vegan Vacay? Check Out These Mini-Mall Must-Haves! Vegan Cheese. The Time is Now, The Eating is GOOD. Feelin' Crafty? Check Out These Vegan Tools to DIY Your Life!